Smart mobile appS for Smart brands. We are an experienced mobile application development company in Ahmedabad building apps for iOS and Android. We provide user friendly, multi device compatible and visually good looking mobile application with functional features and tested functionalities. We are leaders in mobile app development companies in Ahmedabad with work experience of working with both e-commerce and non e-commerce mobile application on both Android and iOS. We are professional mobile application developer & UI / UX designer working with latest design and functionalities on both Android & iOS platform. We are leading Ahmedabad mobile app development company with experienced and expertise. We design mobile applications for corporate, individual and small businesses working on platforms of iOS and Android. We empower your brand digitally it engage with your customers and drive desired outcome. Whether you are corporate looking to add communication tool or startup looking to enter new venture, we are your choice of mobile application developer in Ahmedabad. With most of the mobile devices are either powered by Android or iOS, it is important to have your business presence on these two platforms. As a full service mobile app development agency in Ahmedabad, we walk on extra mile to get your brand a new identity and online business success. We work with years of experience to offer you the complete mobile app development services at one stop. Are you ready to ride your brand online on mobile platforms then we have the right people to get you there. Today the entire world is going the mobile way. Most of the people are dependent on a smartphone for their daily activities starting from the communication with peers to booking taxies and ordering food online. In last one decade or so we have noticed a huge increased in mobile application downloads and as the leading mobile application development company in Ahmedabad we predict that the number will grow exponentially in next few years. The increase of mobile application usage has offered an innumerable opportunity to each business be it big or small. it gives drastic boost in sales conversions and online communication. So, as a marketers choosing Brand Core Media for your next mobile development company in Ahmedabad can prove as wisest decision. we deliver one of the best services in Ahmedabad on both Android and iOS platform. We develop various native and flexible state of the art mobile applications so that your business can grow online. 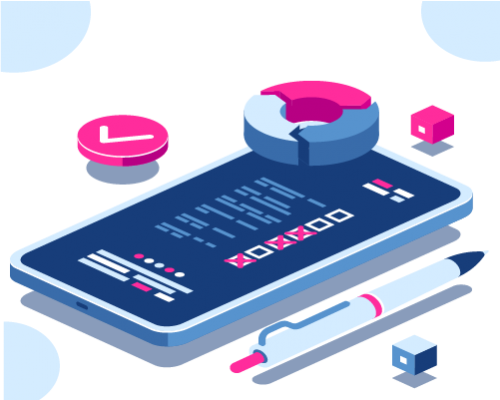 Our team of app designers, developers and testers create beautiful app so that your business can generate better online engagement and enhanced customer experience. Based on the deep research of your business, customer profile and needs, we design an app that help you reduce the cost and deliver the marketing message with ease. We offer iOS app development services that involves the strategic consultation, design and development lifecycle from concept to promotion. Our iOS apps for iPhone, iWatch and iPad are end-to-end custom developed. At Brand Core Media, as a leading mobile app development company in Ahmedabad, our products are always tested and targeted keeping the common user in mind. At Brand Core Media, we are specialized mobile application development agency compelling Android apps that can customize communication and generate revenue. With your business goals prioritize, our Android developers work in synergy with you to ensure you get the product exactly the way you want it. We aim to give your business ideas an online platform. Android mobile and tablet applications. We provide guidance on mobile app solutions across all platforms. Clients most often turns to us with raw concepts about the app and left to us for the end product. We work with collaborative design process for mobile applications keeping in mind the convenience of portable screen for overall usage. Our UX designs are holistic and human centric. UI or User Interface design largely indicates to look and feel of the mobile app. The aim of UI designing is to make mobile app more aesthetic, easy to operate without any glitches and simple for users to accomplish their task without any problem. Several elements like font colour and size, typography, graphics and overall content interface considered for mobile app UI design. visual & user interface design. Brand Core Media is leading Ahmedabad mobile application development company. We design mobile applications for corporate, individual and small businesses working on platforms of iOS and Android. There was a time in the past when owning a classy workplace was essential to gain reputation and impressive clients. Then comes the significance of appealing website where visitors can see your products or services and inquire directly to you via Internet. Any organization with well designed and features loaded website can generate better business and unique visitors that results into higher ROI. But this is what we are talking about 90s and early 00s. Now the situation has turned drastically and the demand has shifted to mobile commerce and mobile application development. Now the time has came where mobile presence is been account amongst the basic needs for any organization to grow beyond the boundaries. Growing use of smartphones, tablets and other mobile devices have vigor considerable change into the usage of internet and internet related services in an individual’s day to day life. The significant of mobile devices while traveling is growing daily. Outstanding mobile apps that are compatible with different devices and various operating systems are introduce in thousands of number on a daily basis. Hey! Are you looking for mobile app development company in Ahmedabad? To ensure your business grow on highest potential and to execute performance scalability, we offer Mobile Application Development Services In Ahmedabad with usage assessment of your customer and exact needs of your organization. Our professional team of software and mobile application developers keeps themselves up to date with latest trends and technology updates. Our experience team of Mobile Application Development In Ahmedabad offers affordable yet competent solution by designing a product that match efficient industry standards and best of user experience. Based on client’s needs and after analyzing user behavior for particular application, we code the best application that supports your business growth and creates customer loyalty. We provide custom designed apps including mobile gaming, mcommerce application, social network plug-ins and special applications, custom business tools for communication channels, monitoring systems, fun applications, global positing systems and more. Based on your idea and concept, Brand Core Media will work to find best possible solutions to meet your business or personal objective. Our team of professional mobile apps developers reviews the feasibility of requirements and presents the technical solution with affordable cost and measurable result. In short, team BCM tries to cut short the time requires and cost indulging in developing mobile application through efficient planning and careful analysis. We are full of ideas. We are passionate about creating brands and moving them up. We are digital marketing company made with team of enthusiastic brand strategist and Internet marketing consultant. We believe in our clients and respect their demands. We optimize latest marketing trends and design concepts for brand promotions.